Messier 16 is an open cluster in the Serpens constellation, standing out from a background of diffuse nebulae. 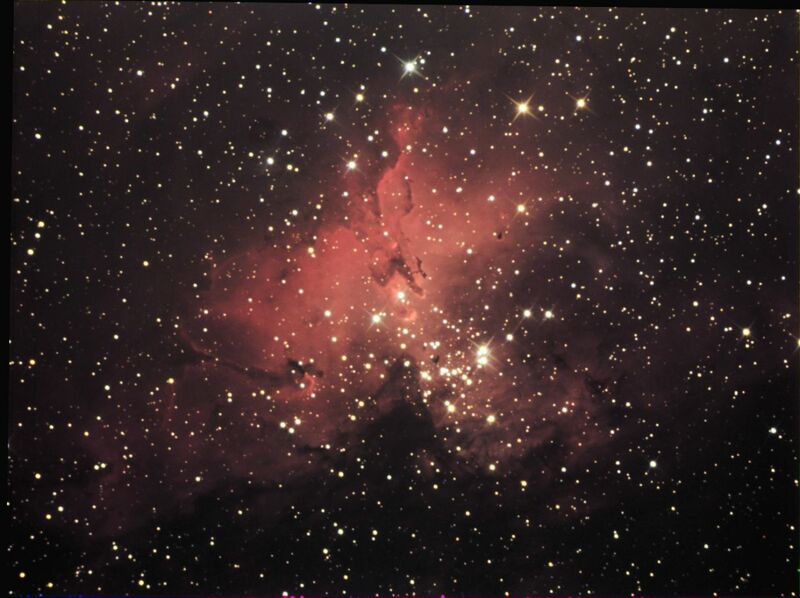 The stars in the cluster can be seen through a telescope, but the red clouds of the nebula require a long photo exposure time. Photographed by "Chamois" (the person's pseudonym on the Futura-Sciences astro forum) using an exposure of 80 minutes on a CCD camera and a 200 mm telescope.